Are you planning to make a career in the travel and tourism industry? If yes, you are taking the right decision as the future of the travel and tourism industry in India is very bright! No matter Inbound or Outbound Tourism, the travel and tourism industry is enhancing day by day. Travel and Tourism industry - A Fastest Growing Industry! It has now become the largest civilian industry in the world, according to statistics one out of every ten people worldwide is part of the Tourism and Hospitality Industry in India. It is growing faster as compare to all other sectors. sectors like Construction and Financial Services struggled to even get close to 3% growth in 2017, Travel & Tourism powered ahead at 4.6%. That’s the highest growth since 2011. Around 7 million new jobs were created as a result. Adventure Tourism: It includes mountaineering, trekking, paragliding, bungee jumping, and white water river rafting. The Ministry of tourism has taken the initiative of identifying the list of places in India for thrilling and extreme adventures sports, mostly in Gulmarg, Jammu & Kashmir, Rishikesh Uttarakhand, Goa and Maharashtra. It helps in giving more and more job opportunities. Health Tourism: This term is used for travelling because of medical purpose, mainly for the complex treatment. For example Complex specialized surgeries of a human part such as joint replacement cardiac surgery, dental Surgery and cosmetic surgeries. Wellness Tourism: It includes a travel for a less stressful lifestyle, to promote a healthier, and finding balance in one’s life. Ayurveda, Yoga, meditation, Panchakarma, Rejuvenation Therapy are among the most ancient systems of medical treatment in India and the best way to promote Wellness Tourism. Eco Tourism: Eco-tourism focuses on local cultures, wilderness adventures, volunteering, personal growth and learning new ways to live on our vulnerable planet. It is typically defined as travel to destinations where the flora, fauna, and cultural heritage are the primary attractions. It is a relatively new segment in India, which helps in generating wealth for the local people. Cultural Tourism: It includes dance, music, festivities, architecture, traditional customs, food, and languages. India has been considered the land of ancient history, heritage, and culture. Hence, the culture tourism has greater scope in India. Moreover, the ministry in recent years has launched the ‘Incredible India!’ campaign and this has led to the boost to travel and tourism jobs in an effective and efficient manner. Pilgrimage Tourism: India is well known for distinct religion, which gives rise to the pilgrimage tourism in India. Great religions like Hinduism, Jainism, Buddhism and Sikhism have originated on the Indian soil. Hence, annually 2.5 Crore pilgrim have darshan of the Lord. Due to this, the Pilgrimage Tourism has emerged in an efficient manner. In today’s modern world, more and more destinations have been introduced, which has given a boost to travel and tourism jobs. 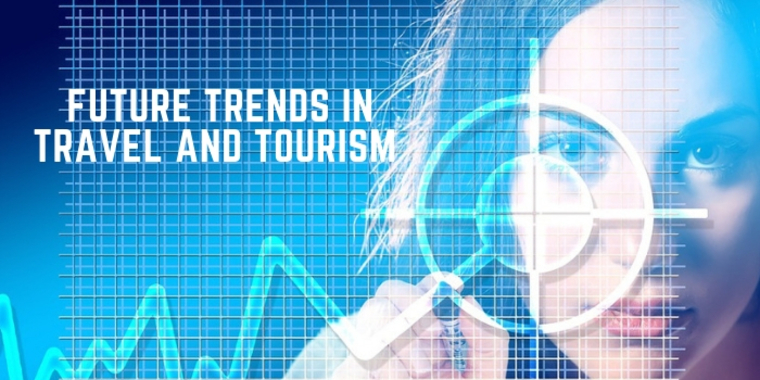 Here are some of the latest trends in the travel and tourism industry that are emerging these days. Visa Helps in Boosting Tourism: With the help of Visa, numerous job opportunities have been increased. In 2014, this policy was applied in 40 countries. It is now expected to be extended to more than 100 nationalities in the future. Enhancement of Boutique Hotels: The boutique hotels in the country has offered a wide variety of staying options for tourists. It not only helps in offering the comfort and safety while travelling but also aides promoting the tourism. Travel Trade Shows Enhance Tourism: There are numerous travel trade shows, which are very fruitful for the economy such as SATTE. By offering a platform for the various stakeholders in the country to showcase their services and products, the tourism in India is being promoted. It offers a combined place to them to have discussions overs various policies, trends and how to improve its growth. If you are from the tourism industry, it is advisable that you must visit the SATTE travel trade as it is quite beneficial. Artificial Intelligence and Travel Industry: Another big thing which is changing the world is Artificial Intelligence (AI) a new term for those machines which perform human-like tasks. Artificial intelligence has come up with a paradigm change in the tourism and hospitality industry in India in such a way that is benefiting the travellers as well as tour operators, aviation sector and even hospitality. In a study, it is observed that whether it is identifying patterns in booking behaviours or highlighting the decision-making process for specific demographics to keeping track of luggage, artificial intelligence is proving to be a powerful tool for the tourism industry. You must ask a question on the internet as the web services providers offer marvellous solutions. Your customer booking process must be personalized through finding out what products are of interest and at which time and how they prefer to book. Avoid last-minute bookings as the tickets become expensive in the last days. Thus, If you want to make a stupendous career in the travel industry, you must scrutinize the internet facility as there are numerous outstanding institution that is available on the web that offers marvellous courses in an effective and efficient manner. 18 Sep, 2018 By shruti goswami . Posted In Career. Tagged Travel Industry Trends, Travel Industry Growth, travel and tourism jobs, travel and tourism industry.